I’ve been on the road for the last few days, first doing a C Minor Mass with Robyn Parton (pictured) in Canterbury Cathedral, where a big crowd gathered to watch the rehearsal and I almost got away with consuming fish with a cream sauce for lunch… nevertheless, a glorious concert. 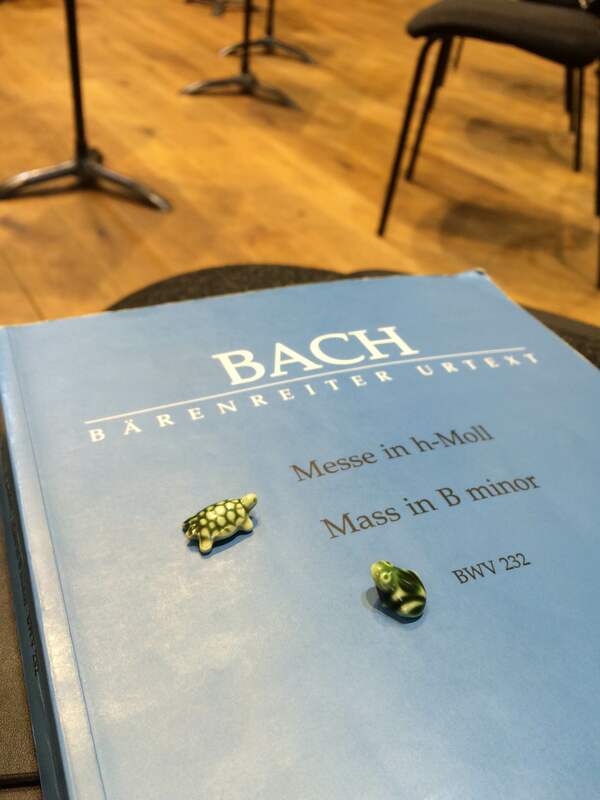 Then I flew to Munich to do the B Minor Mass with the Monteverdi Choir, and now I’ve had nearly a whole day off in Frankfurt after this morning’s train journey. It’s all been extremel y pleasant, not least because singing with this group involves seeing lots of old friends. But it does mean a lot of time in hotel rooms. Hotel rooms are funny places. Apart from those weird hangers that they’re clearly afraid you’re going to steal, they can be (especially in Holland) any combination of bizarre, barren, comfortable, and completely inadequate. I find them sometimes freeing, sometimes desperately lonely. I always have a podcast playing in the background – I find the sound of NPR to be extremely comforting, even though I’m very much a displaced American who now has a confused cultural identity. It’s hard to figure out what to do in hotel rooms when you’re by yourself and you have a few hours to kill. Normally I paint my toenails, or read, or work out, or (more often) watch YouTube videos for hours, and in this golden age of nearly-always-adequate wifi, it’s easy to download thousands of episodes of magical things like Freakonomics and the Slate Political Gabfest (and Invisibilia, my most recent joyful discovery), to which one can listen while slap-dashedly applying concert makeup. 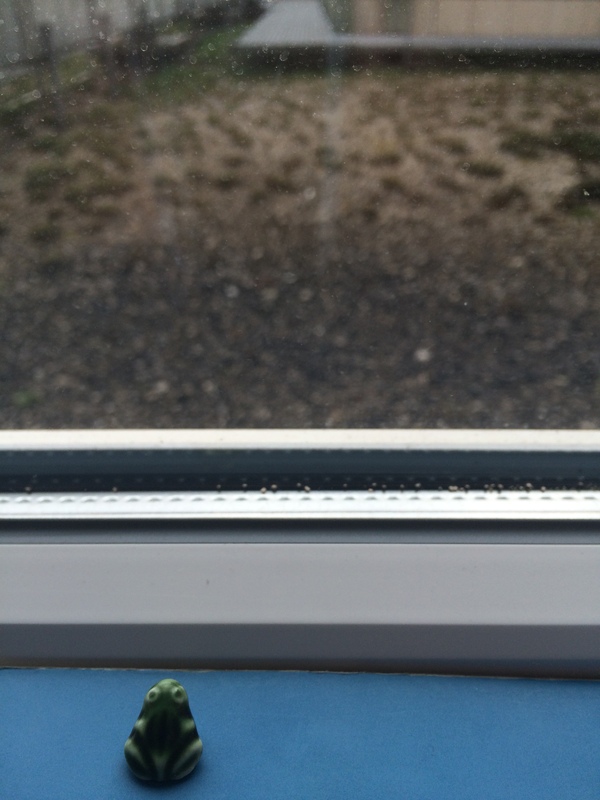 This week, though, having started some freelance work that can be done on the hop, I’ve been using every single hour of my hotel-room time productively (apart from when I’m spending a surprisingly large number of minutes arranging window-gazing tableaux involving the Tiny Frog). It’s a strange feeling. Lately I’ve started worrying that all this productivity might be getting to be too much to handle – in total I have about four projects on the go at the moment, and I’m starting to lose weight. I’m not sure if it’s stress or just calorie-burning from having to think about so many things at once, and I’m hoping it’s the latter, but I’m feeling a tiny bit overwhelmed. As my husband pointed out last night, though, I do thrive on being busy, and it beats the alternative. January and February were a despairing swamp of inactivity, during which I mostly baked apple cakes and plum cakes and moaned about the lack of work in the anaemic classical music industry. The neighbours liked the baking, because I took things round to stop myself from eating them. But being unemployed is not fun, and living as a freelance singer means that I do occasionally have periods of stultifying boredom. Now that it’s Passiontide, of course, things are in full swing, and there’s enough for everybody. But there are always free hours in hotel rooms. So having small, ongoing projects is a good way to keep going, and it’s a very agreeable alternative to teaching, which is the mainstay of the freelance musician — but something I don’t especially want to do. 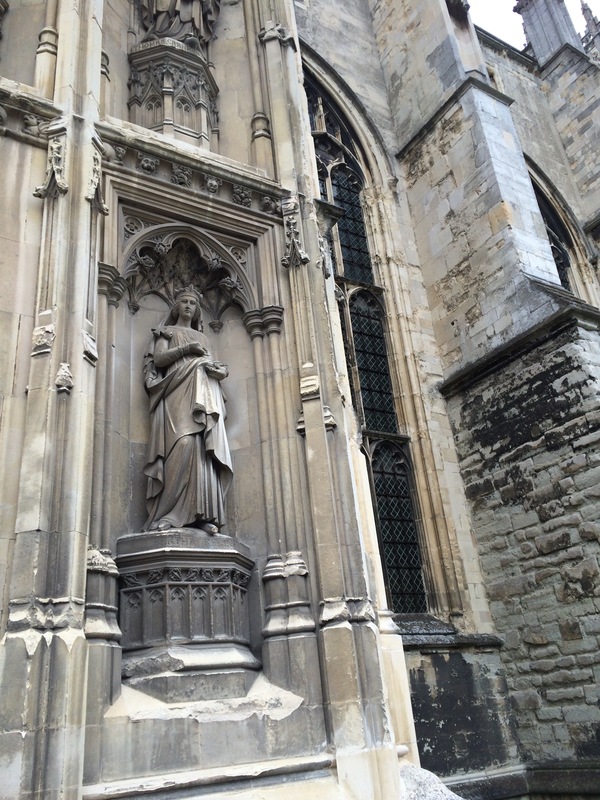 This blog is a particularly useful way to keep the writing muscle working, and it’s a fun way of chronicling my travels and putting up photos of cathedrals (and tiny frogs). Long may it continue. Let me know if you think of interesting names for the amphibious little guys. Suggestions so far have included Katsu and Bento. So it’s the 20th of March, and the internet is awash with tremulous enthusiasm, because three things are happening at once: the spring equinox, also called Ostara, whence we get a lot of secular Easter imagery (bunnies, eggs, etc); a partial solar eclipse; and a “Supermoon”, which means the moon will be passing unusually close to the earth. Because eclipses only happen when there’s a new moon (when the moon is entirely in shadow), we won’t get the spectacular full-moon tonight that you’ve probably seen examples of in news articles about this event. But we did get an impressive 80% eclipse here in the south of England in spite of clouds, starting at 8.41am and peaking at about 9.30am, and in Scotland it was a 90% eclipse. I was (in fact, while writing, still am) in the embassy picking up my passport at the time and couldn’t see it firsthand, but never mind. I’ll enjoy the day for another reason: the Spring Equinox. I always feel young and full of possibility in March – maybe because it’s my birthday month, but also because I really love the feeling that winter has finally been defeated. The fragile February snowdrops just don’t do it for me, I’m afraid; I want shocking purple crocuses and brash daffodils and glamorously unfurling tulips. It’s the colour explosion of spring, the reds and oranges and bright blues, that I wait for in the slowly lengthening days of January, as much as I wait for the warmth. I heartily recommend that you take a look at her website here. “The old world of Britain runs in my veins,” she says, and when you look at all of those hares, badgers, owls, and beautifully tiered rural landscapes, you feel as though you can catch a glimpse of it, too. Here’s to new beginnings, riotous colours, and longer, brighter days. I’m late to the game with this, but it’s pure genius. My feelings about my job this morning were mostly the result of a big passport-related crisis (was it real? Was it imagined? Who can say? ), which has now mostly passed. To cut a very, very boring and long story short, I had to have my passport renewed for travel later this year, so I sent it off to the US embassy in London via a loathsome courier service. By last night I was frantic, having not heard back from the courier service or the embassy about when I’d get it back. To be fair, I may not have allowed the recommended full four weeks for processing — but who does? Anyway, I fly on Sunday. So things were getting dicey. I grew up in various far-flung places, and quite a lot of my childhood was spent playing in and around the US Embassy in Beijing. In those days, you could queue up for US Citizen Services and Get Stuff Done There. I remember the lines. They weren’t long — the visa line was long, for sure, but the US Citizen Services area was usually clear, both in and outside the building. I have vague memories of having gone there once or twice with my mother. It was a nice place. Up until fairly recently, you could make an on-the-day appointment at the US Embassy in London to add pages to your existing US passport (I did this about a year and a half ago), or apply for a new one. Now it’s all automated and must be done by courier — you can’t approach the embassy on foot anymore (unless you have an emergency appointment), and you can’t call them directly. If you dig deep enough on the US Embassy London website, you’ll get to a little page that lets you send an emergency email to the passport section, but it’s not easy to find. I know that the volume of requests must get exponentially higher every year, but really. There’s a little phrase, “You’ll never work again” that occasionally gets sung (to the tune of the last phrase in “Advance Australia Fair”) by people in the classical music business when someone’s done something stupid, a sackable offence — like smart-mouthing a conductor or forgetting a passport. Or not allowing enough time to get a passport renewed. I won’t be singing it, not this time, because I’ll be at the embassy at 9.30am tomorrow picking up my passport (thanks to a kind person on the other end of that emergency email inbox who gave me an emergency appointment). I’ll probably be late for rehearsal, but at least I’ll be able to travel on Sunday. This is the sort of thing that makes me yearn for a desk job. I turned twenty-nine on the first of March. And as part of this (quarter-life?) crisis, I’ve decided to start collating everything to do with writing in one big bottom drawer. I believe the young people refer to this as content. There’ll be a gap between book reviews over at Quadrapheme (ideally, a month between each), so this is a place to keep thinking, writing, and recording what’s going on. There might also be an occasional update from a singing tour. To start off with, here’s a link to the most recent thing: a review in Quadrapheme of Hausfrau, released yesterday (March 17th), the first novel by acclaimed poet Jill Alexander Essbaum. Congratulations to Jill – it’s a disturbing, beautifully written novel. I’m off to hang up some wet bedsheets, because there are no dryers in Britain. Godspeed, everyone.